Our flying visit to Cornwall was punctuated by heavy showers and sunny spells. Farmland around St Agnes was sodden, little tin streams swollen and beaches stripped bare by the storm tides. But where there was shelter one could still find the odd red campion (Silene dioica) in bloom and the curious vanilla scented flowers of the winter heliotrope (Petasites fragrans). The rounded leaves emerge shortly before pale pink flowers, which stand proud against the elements. 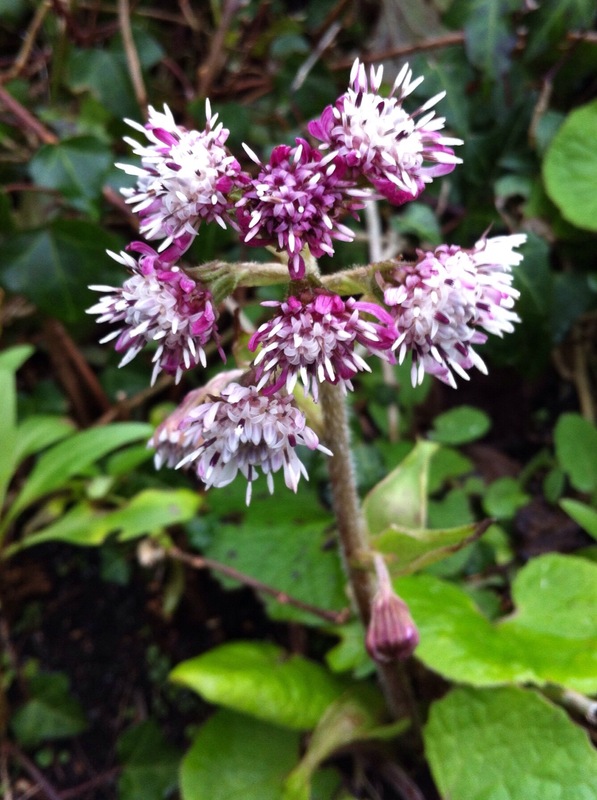 Petasites fragrans is particularly easy to spot in winter, forming swathes of cool green against an otherwise dull backdrop of last year’s tired foliage and charcoal-grey hedgerows.